Are you struggling to raise finances for your new piano? Perhaps you're a school trying to save up from concerts or a venue trying to raise money through sponsors. 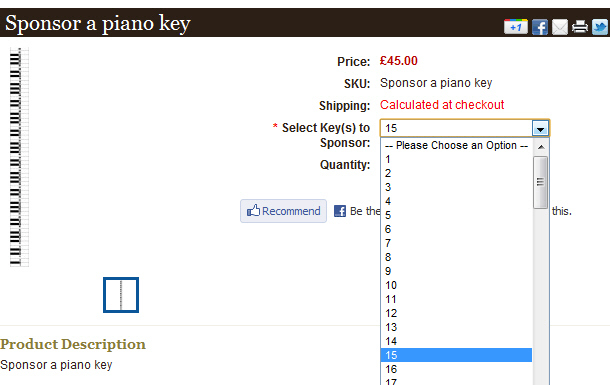 We have designed a great scheme to make it easier for you to purchase your piano, and to make it even more exciting! Quite simply once you know what piano you are saving up to buy, we divide the cost into 88 piano-key-size chunks. We will then set you up with a dedicated webpage on our site for you to invite parents, donors and sponsors to donate towards the piano. They can pay online, send us a cheque, or BACS us the money. They can choose which key(s) they want to sponsor and we then colour them in. Once you fill all 88 keys we can then arrange delivery of your new piano!! The beauty of the scheme is it means parents, friends and any other sponsors can go online and donate towards your piano at any time and from anywhere! Once someone has donated we will also mention their name as a sponsor on the webpage. You can add details of the webpage to your newsletters and email bulletins to let people know about the scheme and hopefully encourage them to help. 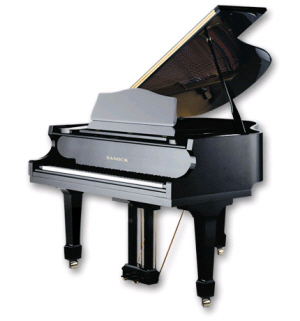 The piano you are looking to purchase totals £3,960. This means sponsors can donate as little as £45 to help towards your new piano! !